So it’s time to play the Eagles again… no, not those Eagles. That’s American football, and that game is next week. No, this time we are playing the Eagles with the most racist fans in Serie A. In fact, these Eagles’ fans recently committed one of the most despicably racist and atrocious acts in a football stadium in recent memory. Then they got away with it – a relatively small fine for the club and no stadium bans for the fans, who don’t deserve the dirt they spit on. How that works, I’ll never know… I mean it is Italy. But this was low even for that embarrassingly low bar. I try to remember that those are the fans, not the players. But still, it’s a bitter pill to swallow that has no place in football. The moral of this story is that if the Eagles don’t get you, the racists will. "Hey! Who ordered all of these goals?" If you think that we will not be like a mere rabbit to these eagles, consider that they have scored 13 goals in their last three matches. It took Milan 12 games to score as many. Despite them missing Immobile to injury, they still don’t have a problem scoring three to five goals per game. 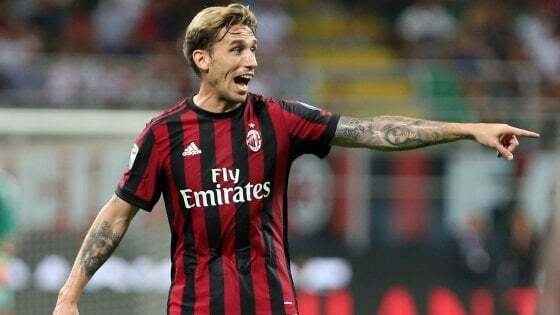 Milan, on the other hand, can only score more than one goal in a match if the ref awards a penalty for us. So I don’t have a lot of confidence playing against the third place team in the league. They did play midweek, whereas we didn't, and they do have to play in our house, so those are the only things we have going for us. 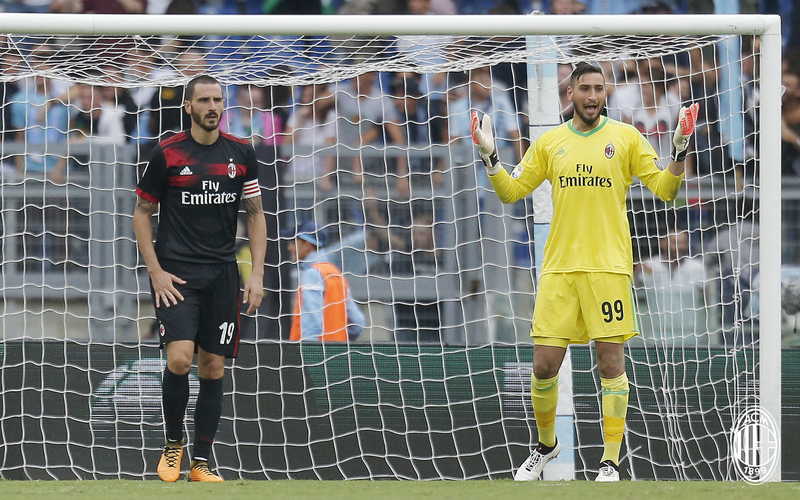 For their 3-0 humbling of Udinese midweek, the other Inzaghi lined up Strakosha; de Vrij, Radu, Wallace, Milinkovic-Savic, Parolo, Lucas, Lukaku, Basta, Nani, and Felipe Anderson. In spite of them adding the fleetingly brilliant and oft-injured and/or troubled Martin Caceres to their squad, they are steadily climbing the table. As a team that flew under the radar until recently, one must commend them on a great season to date. "I thought I left those racists back in Rome"
If Milan’s success were based only on the amount of screaming and bear hugs and refreshingly honest press conferences of our ex-player coach, we would be top of the table for sure. But screaming and gesturing does not win games, scoring goals does. And, as I mentioned previously, that is Milan’s biggest problem this year. 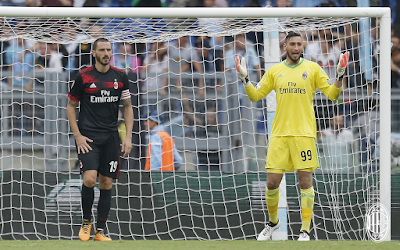 Despite climbing from 11th on the table up to seventh by winning two games back to back, we are still 23 points behind first place Napoli, having conceded more than double their tally and only scored 27 goals to their 45. And just to prepare you for the anticipated goalfest heading toward Milano right now, Lazio have actually scored the most goals in Serie A this season, a whopping 56 goals. That’s gonna hurt. 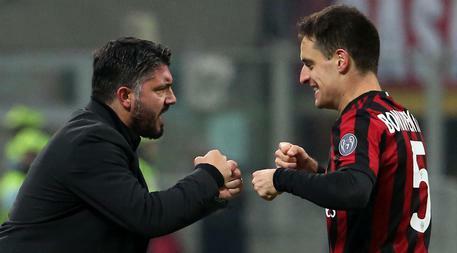 Gattuso is using the “fake it ‘till you make it” technique of coaching, and I for one am hoping that the “make it” part comes sooner rather than later. Maybe by Sunday, if possible. Obviously, Conti is still out, and old man Storari is still injured, but not bad enough to keep him from overstyling his hair. However most impactful loss will be missing Rodriguez to suspension after he was sent off last week. That’s why we need Gattuso’s magical blue fairy to come and turn him into a real coach, just like she turned Pinocchio into a real boy. We need answers against Lazio, and we need them now. And again on Wednesday in the Coppa. Honestly, we could really use answers for the rest of the season and beyond, but one game at a time. At least if we are going to be the victims of another barrage of Lazio goals, we can only hope that they do not racially abuse any of our players. Having been given something to smile about in the last two matches, we do not need to endure a defeat on the pitch and another defeat for mankind. Playing the Eagles is always difficult, but even worse when their scum of the earth fans come to town. Because if the Eagles don’t get you, the racists will.